Thabile Morolong is 13-years-old. Angels came together to give him a surprise of a lifetime from Cornwall Hill College and Good Morning Angels! Thabile Morolong is 13-years-old from Tembisa. His mom, Annie, is a domestic worker and breadwinner for her two sons and husband as well as her own mother and siblings, who live in the Eastern Cape. With the assistance of her employers, the Badenhorst family, Thabile finished his primary school education in Irene Primary and remained living with the Badenhorst family, after his mom moved back to Tembisa. The reason: he is such a talented drummer, that he is in the Cornwall Hill Pipe Band even though he’s not in the school. 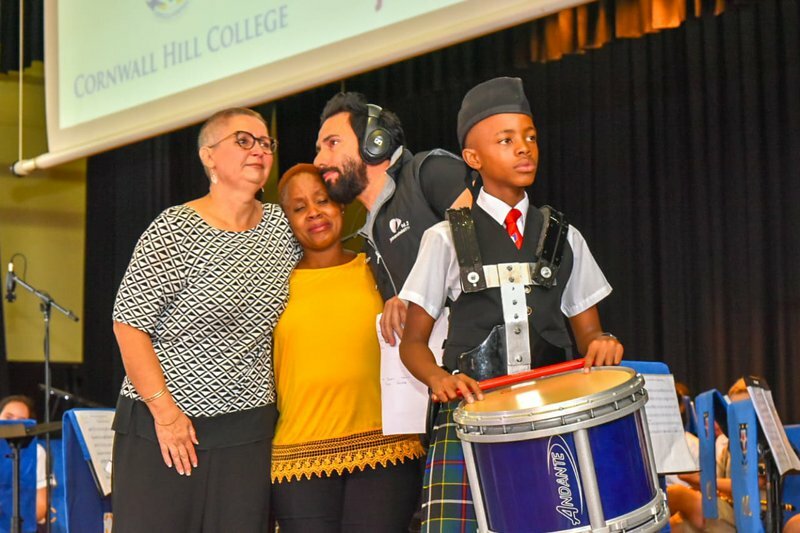 He was inspired by the Pipe band when he attended competitions at Cornwall Hill College, where the Badenhorst family’s three children attended. Thabile won the solo competition at the SA Drumming Championships last year - a category which includes all drummers up to the age of 21. Thabile has moved from the Badenhorsts’ home in Irene, back to his mom in Tembisa, to go to his new school. Logistics and other school responsibilities could end his blossoming career as a drummer. There is no way that his mom, Annie or the Badenhorst family, can afford a private school education and res-fees for Thabile - even though his future seems to lie at Cornwall Hill College.